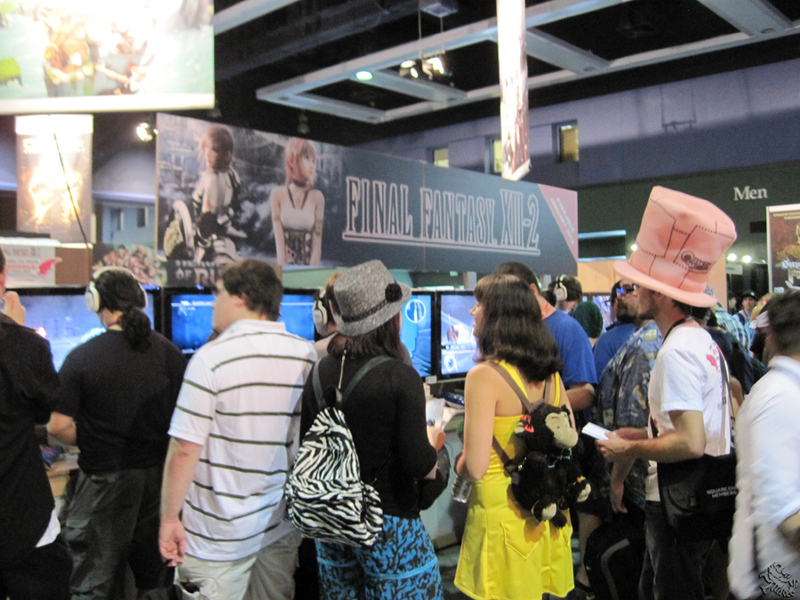 Along with Heroes of Ruin and Deus Ex, Square Enix flaunted strong their upcoming sequel to FFXIII at PAX Prime this year. The exclusive showcase for Final Fantasy XIII-II begins with new protagonist Noel Kreiss and returning character Serah Farron arriving from another dimension and progresses toward a boss battle with a monster named Atlus. The creature can be faced in a couple different situations depending on what decisions the player makes. The game focuses more on story development than anything else, and improves on the systems that were set in place for Final Fantasy XIII. 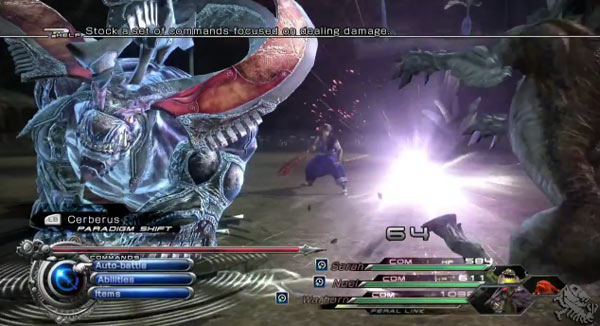 A number of different aspects are added to the battle system as well as the overall gameplay and storyline progression. The sequel also introduces some new characters such as Noel Kreiss himself, as well as brings back some old faces from the original. 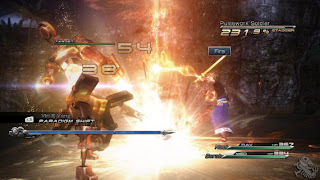 Two notable system that will be introduced to the combat in Final Fantasy XIII-II is, for one, the “Feral Link.” The player is now able to tame a monster and have it join the party. While battling with a tamed monster, the Feral Link Bar fills up. 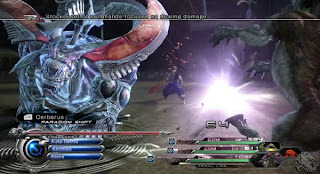 When it is full, the player's currently tamed monster can perform a special attack. The other is called “Cinematic Action.” During certain battles, (especially boss battles, I'd imagine) the player will have opportunities during cutscenes to execute a quicktime button press and deal massive damage. As an example of this in the demo, the player gets to briefly take control of a nearby helicopter during one of the battles with Atlus. In the way of NPC interaction, Square Enix presents a new “Dialogue Tree” system that offers the player a variety of things to say and ask. This new way of gathering information and enjoying in-game conversation was well demonstrated in the showcase demo when talking to the soldiers roaming the areas of the game. Another added feature is the “Anomaly System.” This offers puzzle-styled areas that are encountered when traveling from one dimension to the next. As the player solves these puzzles, real-world situations are changed throughout the dimensions. 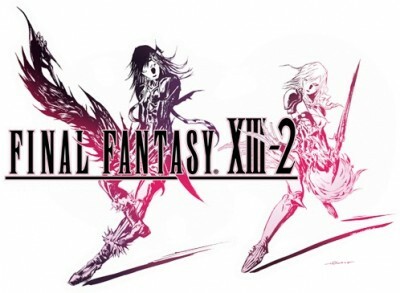 The two playable main characters, Noel and Serah, are accompanied by a moogle named, familiarly enough, Mog. The additional feature that Mog brings to the table is called the “Mog Clock.” While monsters in FFXIII where encountered simply roaming the map, with this new Mog Clock system, they are now encountered at random. The player will see a large circle break out on the ground and progressively change color. This allows the player a window of time to execute a button press. If successful, they will begin the battle with the upper hand. The final notable addition to the game's mechanical structure is the “Historia Crux” system. With the Crux, the player can travel through gates to different dimensions throughout the game. It is said that the choices that the player makes in this way will influence the storyline and the multiple ending system. All together, the graphics look as amazing as any Square Enix development. The textures in particular stood out to me as being exceedingly high-res. Pre-rendered cinematics seem to be getting all the more scarce, however, even for Square Enix. The control scheme is as classic as always and doesn't require much more elaboration. The music and FX sounded great to me, however, I'm going to let players judge the voice acting on this one. Personally, I foresee Final Fantasy XIII-II being as in depth as any legitimately numbered adaption to the series in terms of story and gameplay, with the only the true basis being adopted from its prequel. The game is scheduled for release sometime in January 2012. As always, you're more than invited to post comments and questions regarding the showcase demo. I look forward to our discussion!